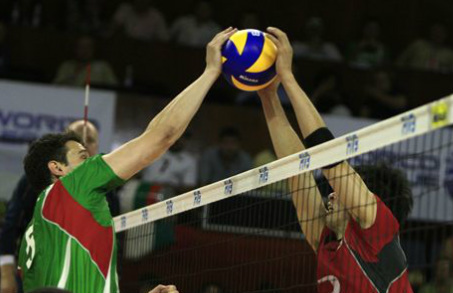 Blocking is not learned by all players since only the front row utilizes it. However, it is the main defense against the opponent's attacks and helps to slow down the speed of the attacks to make it easier for the back row to pass. 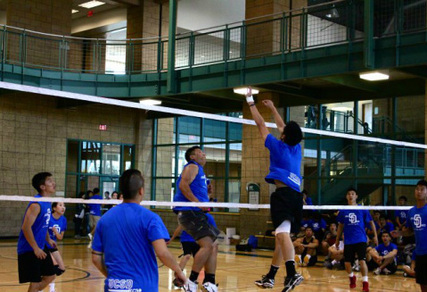 Blocking can be done by one to three players. 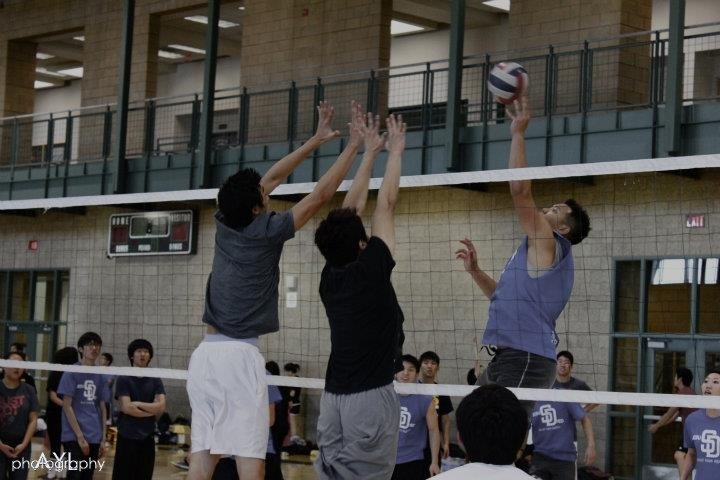 There are single, double, and triple blocks in volleyball. The concept behind the three blocks are all the same. Stay close to the net and keep their hands at shoulder level with their palms facing the net. 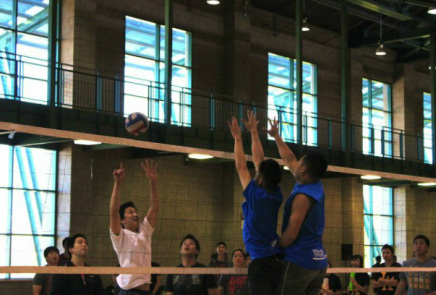 Once the ball is set to a hitter, the blocker needs to follow the hitter and keep their eyes on them. Wait for the opponent to jump first and jump immediately after the attacker jumps. 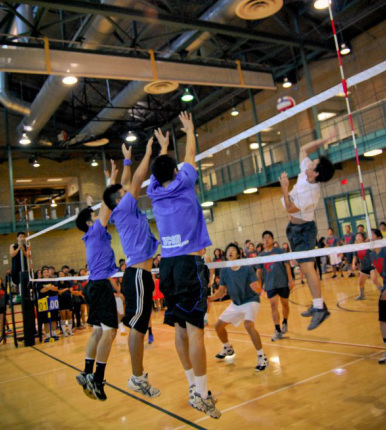 While up in the air, reach and stretch your hands over the net (as shown in the image to the right). Make sure you angle your hands so that the ball will rebound off your hands and fall on the opponents court instead of going out of bounds or coming onto your court. Whether you touch the ball or not, you must immediately look for the ball and continue to play if possible. Single Block - where one person blocks the spike. This is usually not effective enough to stop a spike but is more of a way to help the back row pass better. Double Block - where two people block the attack of the opposing team's hitter. 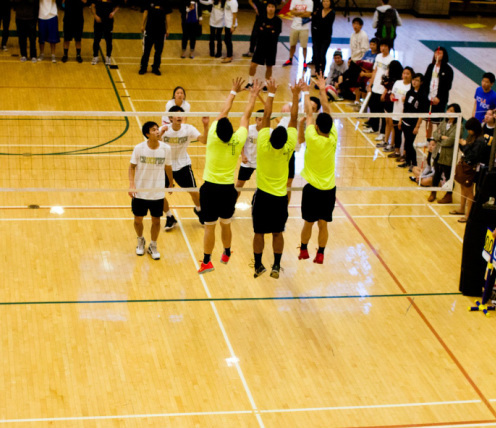 Triple Block - where three people come together to block a spike. This is usually the most effective and powerful since there are more hands to cover more surface area.